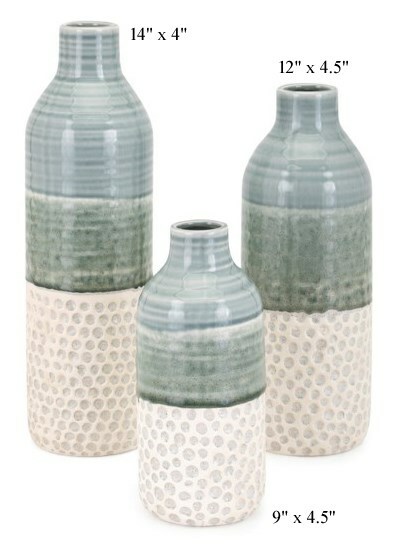 Dahlia Vases - Set/3 - 14"
These three ceramic vases feature a tri-tone design and three different sizes. A natural matte finish base with a dimpled surface texture is contrasted by gloss glazes in shades of green on the upper portion, exuding color and visual interest. Handcrafted, they convey a global aesthetic and make a dynamic focal point.